Dörte grew up far from the mountains, but during her last year in high school she discovered climbing, and she hasn’t looked back since. 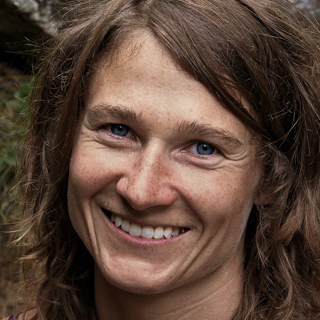 With a master’s degree in physics and mountain guide certification from the International Federation of Mountain Guides Associations (IFMGA), the aspect of climbing she enjoys most is putting up new routes. Together with the German Alpine Club, she created a team of young female alpinists who she has been training since 2011. These days she splits her time between the town of El Chaltén in Argentina and the Dolomites in Italy.